Dental implants are the most durable and functional tooth replacement option available today. The implant is comprised of a titanium post that serves as the root of your replacement tooth, a porcelain crown, and an abutment that attaches the dental crown to the implant. With proper oral care, a dental implant can replace a natural tooth for a lifetime. Looks & Feels Natural. Implants are nearly indistinguishable from natural teeth. Smile more often with a full, healthy set of teeth. Convenience. Once the implant is placed, it serves all the functions of a natural tooth. No eating restrictions or speaking impediments. Stops Bone Loss. With other tooth replacement options, the bone where the root used to be may deteriorate over time, causing neighboring teeth to shift and loosen. Implants are the only option that helps prevent bone loss in the jawline. Over 95% Success Rate. Implant placement therapy is one of the most effective and most predictable type of procedure in dentistry. First, your doctor in Merrillville, IN will take x-rays of your mouth and determine the optimal placement of the implant along your jawline. Once the implant has been surgically placed, the abutment and dental crown will be attached during restoration procedures. Most patients report less pain during recovery than with wisdom teeth extractions, but any discomfort can be treated with over-the-counter pain medication. 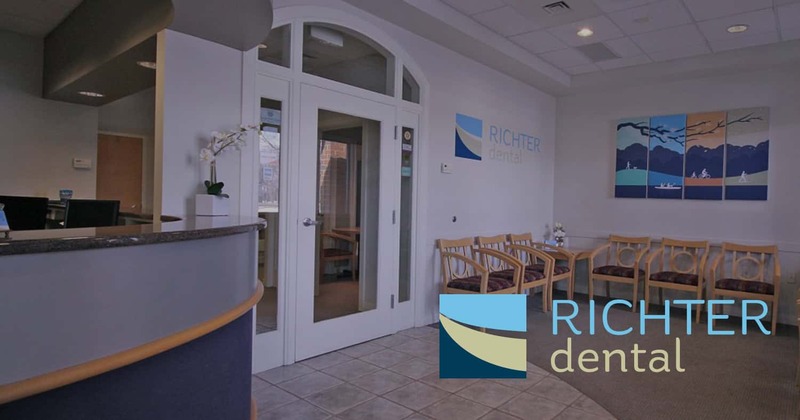 If you are anxious about any stage in the implant procedure, the team at Richter Dental is always ready and willing to answer any questions or concerns you may have. If you believe you can benefit from a single dental implant procedure or would like more information, call our Merrillville, IN dental office today to make an appointment!